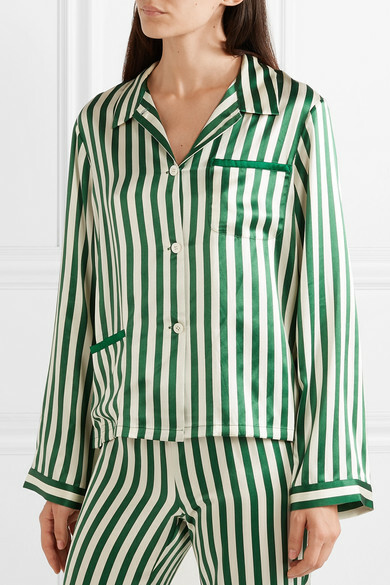 Gigi Hadid demonstrated just how versatile Morgan Lane's 'Ruthie' pajama shirt is by half-tucking it into the coordinating pants on the streets of New York. 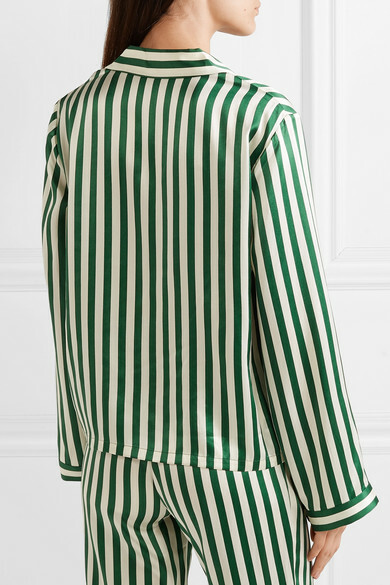 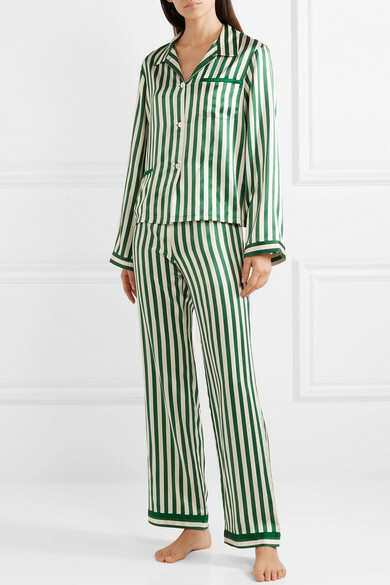 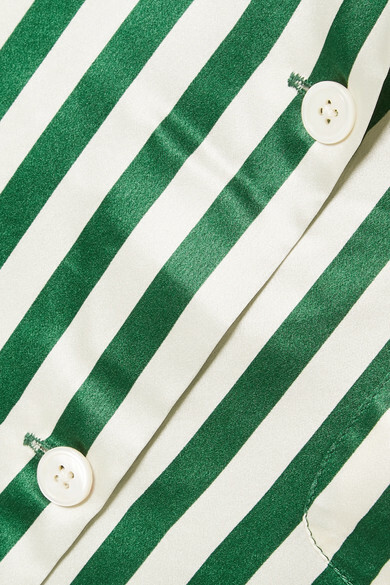 This relaxed style is cut from green and cream striped silk-charmeuse and has mother-of-pearl buttons through the front. 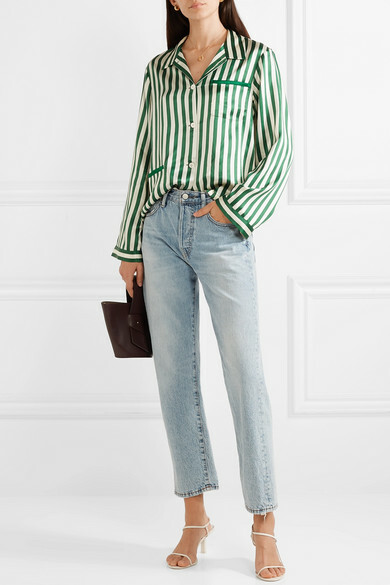 Shown here with: Acne Studios Jeans, Carolina Santo Domingo Tote, The Row Sandals, Alighieri Necklace.